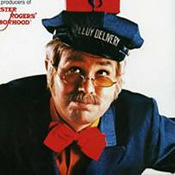 Mr. David Alex McFeely is the primary employee of the Speedy Delivery Service. 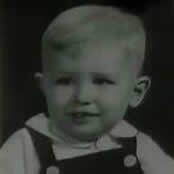 He is the husband of Mrs. Betsy McFeely, the father of Judy Thompson, and the grandfather of Chrissy and Terri Thompson. 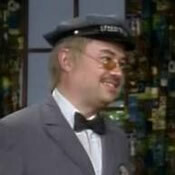 Mr. McFeely has followed in the footsteps of his father who was also a speedy deliveryman. 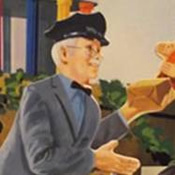 Early on, he was in a constant hurry as he made his deliveries throughout the Neighborhood; however, in later years Mr. McFeely become more patient. His deliveries around the Neighborhood vary but he often stops by to visit Mister Rogers with a film which he even narrates on occasion. 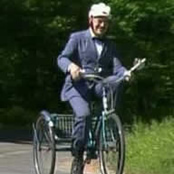 Typically on foot, Mr. McFeely sometimes uses a tricycle, a small battery-operated car, the Speedy Delivery car, and even a kayak to make his deliveries. 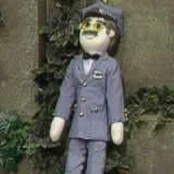 Mr. McFeely has similar responsibilities in the Neighborhood of Make-Believe where he also serves as the speedy delivery man. In his spare time, Mr. McFeely enjoys old films and model making. 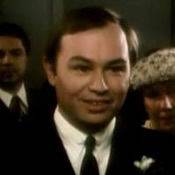 Mr. McFeely appeared as himself in the Neighborhood opera All in the Laundry. 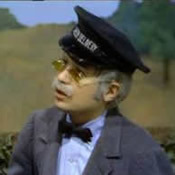 According to some sources, Mr. McFeely's original name was to be Mr. McCurdy. Fred Rogers had named him after the man who was the show's benefactor at the time. This idea was not liked by the Sears-Roebuck Foundation so the name was changed to Mr. McFeely -- named for the grandfather of Fred Rogers. 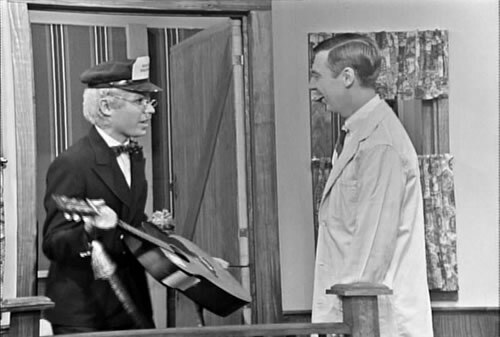 Mr. McFeely's first name is mentioned several times throughout the run of Mister Rogers' Neighborhood including Episode 1433. His middle name -- Alex -- is mentioned in Episode 0057. 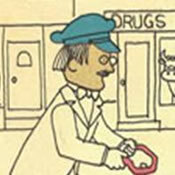 A caricature of Mr. McFeely is seen in Episode 1068 as part of a book called Who's Coming to Mister Rogers' Neighborhood. 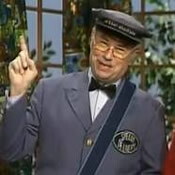 The character of Mr. McFeely was originally named Mr. McCurdy -- named for the Neighborhood's funding partner from Sears & Roebuck. According to the A&E Biography of Fred Rogers, Sears & Roebuck's Mr. McCurdy declined this honor at the last minute. A childhood photo of Mr. McFeely is shared in Episode 1225. 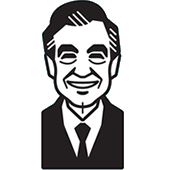 According to the summary of Episode 0037 found on the University of Pittsburgh Library's online catalog, Mister Rogers "talks about how he is sometimes angered by Mr. McFeely's smoking." 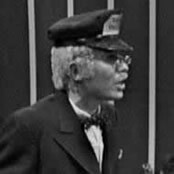 While Mr. McFeely does indeed appear in this episode and the rest of the description from the Pitt library is accurate; there is nothing in the episode that suggests that Mr. McFeely is a smoker. Mr. McFeely never smoked and no mention was ever made of him smoking. This was clearly something added (for whatever reason) by the person documenting this episode at Pitt. According to Pitt, this information is part of a permanent database and cannot be edited. In Daniel Tiger's Neighborhood, Mr. McFeely continues to making speedy deliveries around the Neighborhood.